• What else have I been doing? Hello friends – this is the first Blainletter of 2012 – hmmm, mid-February - I guess it’s a bit of a late entry. And then it was meant as a Valentine’s Day greeting but missed that deadline too… So now I sit here writing a little last-minute self-promotion for my appearances at the Winterfolk festival rather than attending the Winterfolk launch party. Well the upside of staying home is listening to Sharon Jones and the Dap Kings on CBC’s Canada Live as I write this (more on CBC later). I still remember their show at the jazz festival…talk about the “real deal.” Old school. I thoroughly enjoyed watching the Grammy Awards on my new HDTV, especially the guitar extravaganza at the end with McCartney, even though I didn’t get to attend in person. That’ll be the day. I don’t expect to get to the JUNO Awards either this year but I was invited to the media launch and that was a fine occasion with trays of delicacies being passed around. Most of the blues nominees were friends of mine and I was delighted to see them honoured. 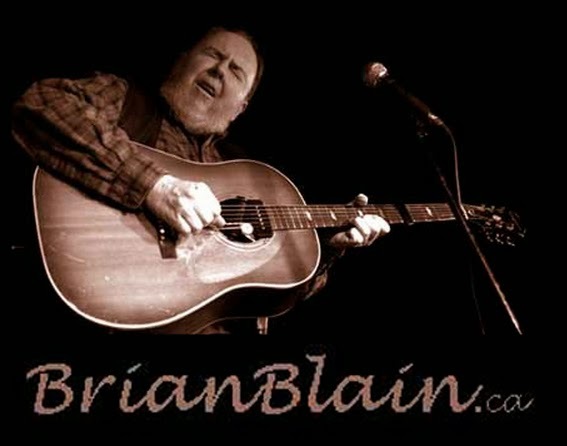 A few glaring omissions, mind you, like Harry Manx who was just passing through town last week and the larger-than-life Matt Andersen who I had the pleasure of jamming with at my Blues Campfire last month. The Maple Blues Awards were held last month in the newest and fanciest concert hall in Toronto, Koerner Hall. A far cry from the first MBA soiree which was held at the beloved Montreal Bistro fifteen years ago. Some great music this year and a few emotional moments but the highlight of the show for me was "Funky Louise", alter-ego of host Shakura S'Aida. She had me in stitches - search for Funky Louise on YouTube and you'll see this hilarious promo for the awards also featuring co-host Treasa Levasseur. Speaking of radio, I’ve just had my first taste of the Galaxie Music thang now that I got “the fibe.” Imagine living with 7 or 8 years with no TV, then a year or two with a hand-me-down TV and a coat hanger for an antennae and now a 40” screen and 1000+ channels, most of which I am not remotely interested in watching. Well now I’m set for my (semi)retirement.